What is this wood stork doing? Is he yawning? Is he calling to a passing bird? Is he about to cast a pellet? Do wood storks even have pellets? 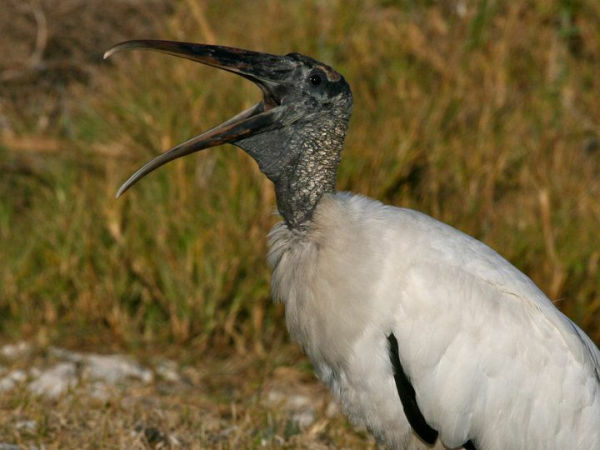 I checked Cornell’s Birds of North America Online and they said of the wood stork, “No information on pellet-casting.” However, wood storks eat fish so they might need to regurgitate fishbones. I agree. He’s smiling for the camera! 🙂 Nice shot, Chuck!